A suspect is in custody after allegedly shooting a Mount Vernon man in the head, sending him to the hospital. 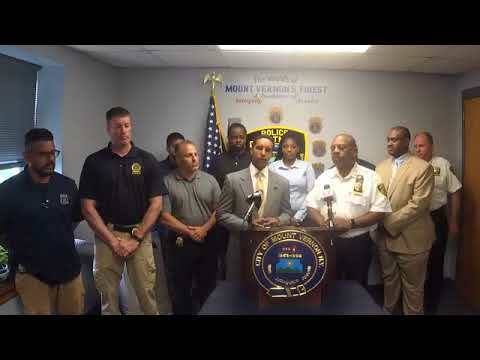 Mount Vernon Mayor Richard Thomas and Police Chief Richton Ziadie announced that a suspect has been apprehended in relation to the shooting on Sunday, July 1, outside a South 9th Avenue apartment complex, which sent local resident Diesel Mercedes to the hospital. Ziadie said the investigation into the shooting is ongoing. No cause for the shooting has been released by investigators. "This is a significant milestone in bringing someone to justice who made a very bad decision this past weekend,” Thomas said. “I want to remind everyone that Mount Vernon has taken a step to undo something that has long outlived its purpose: Mount Vernon not being safe.